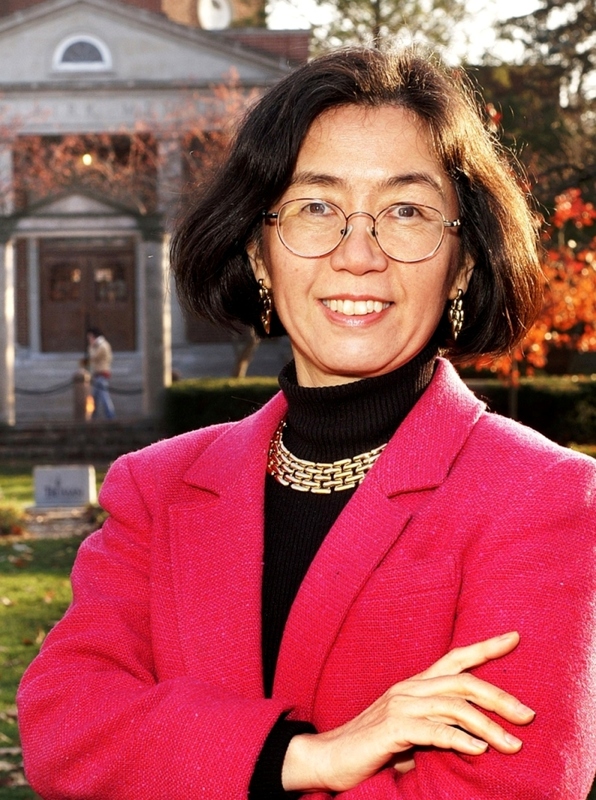 Dr. Ling has been at Truman since 1991. She teaches Asian, Asian American, and women’s history. Her research focuses on Asian American studies including immigration and ethnicity, assimilation and adaptation, family and marriage, employment patterns, and community structures. She is the Asian American Studies Today series inaugural editor for Rutgers University Press and served as the Executive Editor for the Journal of Asian American Studies (2008-2012). She is the Changjiang Scholar Chair Professor selected by the Chinese Ministry of Education, and a Visiting Professor of the Institute of Overseas Chinese Studies at Jinan University, China, and Wuhan Theoretical Research Center of Overseas Chinese Affairs Office of the State Council,at China Central Normal University. She is a recipient of numerous awards and honors such as the Ford Foundation Book Award, American Fellow of AAUW, Walker and Doris Allen Fellowship for Faculty Excellence 2005-2006 with $10,000 prize, and Best Article Award at 2006 Missouri Conference on History. She has been featured in numerous newspapers and talk shows (Top China, The World Journal, the St. Louis Post-Dispatch, St. Louis Chinese American News, St. Louis Chinese Journal, the Overseas Chinese World, “Charles Brennan Show,” “St. Louis on the Air,” among others), and included in many books/encyclopedias on famous Chinese Americans and authors. She has written/edited 25 books and over 100 articles on Asian Americans. Her recent books include Jinshan Yao: A New Chinese American History (Chinese Overseas Publishing House, 2016), Chinese Chicago: Race, Transnational Migration, and Community Since 1870 (in Chinese, World Book Publishing Company, 2015), Jinshan Yao: A History of Chinese American Women (Expanded and Revised Edition in Classical Chinese. Taipei: Showwei, 2015), Chinese Chicago: Race, Transnational Migration, and Community Since 1870 (Stanford U. Press, 2012), Asian American History and Culture: An Encyclopedia (co-editor, 2 Vols. Routledge, 2010, Booklist/Reference Books Bulletin Editors’ Choice 2010 Award, its Chinese edition by World Book Publishing Company, 2016), Asian America: Forming New Communities, Expanding Boundaries (Rutgers U. Press, 2009), Emerging Voices: the Experiences of the Underrepresented Asian Americans (Rutgers U. Press, 2008), Voices of the Heart: Asian American Women on Immigration, Work, and Family (Truman State U. Press, 2007), Chinese in St. Louis: 1857-2007 (Arcadia, 2007), Chinese St. Louis: From Enclave to Cultural Community (Temple U. Press, 2004), Pin Piao Mei Guo: New Immigrants in America (Beiyue Literature and Arts Publishing House, 2003), and Surviving on the Gold Mountain: A History of Chinese American Women and Their Lives (SUNY, 1998), and Jinshan Yao: A History of Chinese American Women (Chinese Social Science Publishing House, 1999, winner of Ford Foundation Book Award, in American Studies Series by the Chinese Academy of Social Science). She has authored/edited 25 books and published over 100 articles on Asian-Americans. Chinese Chicago: Race, Transnational Migration, and Community Since 1870. Stanford University Press, 2012. 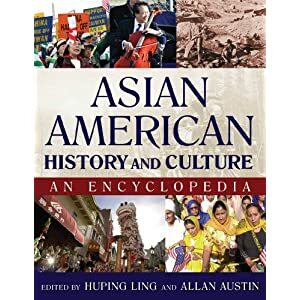 Asian American History and Cultures: An Encyclopedia. Two volumes (with Allan W. Austin) M.E. Sharpe, 2010. Booklist/Reference Books Bulletin Editors’ Choice 2010 Award. Asian America: Forming New Communities, Expanding Boundaries. Rutgers University Press, 2009. Emerging Voices: Experiences of Underrepresented Asian Americans. Rutgers University Press, 2008. Voices of the Heart: Asian American Women on Immigration, Work, and Family. Truman State University Press, 2007. 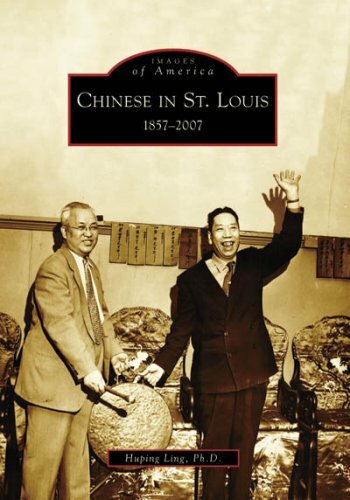 Chinese in St. Louis: 1857-2007. Arcadia Publishing, 2007. Chinese St. Louis: From Enclave to Cultural Community. Philadelphia: Temple University Press, 2004. Ping Piao Mei Guo: New Immigrants in America. Shanxi, China: Beiyue Literature and Art Publishing House, 2003. Jinshan Yao: A History of Chinese American Women. Beijing: Chinese Social Sciences Publishing House, 1999. Ford Foundation Award, American Study Series by the Chinese Academy of Social Sciences.